A daughter of a career United States Air Force officer, Dr. Buttross grew up around the world. Her family settled in Austin, Texas for her high school years. Dr. Buttross attended the University of Texas at Austin earning a B.S. in Nutrition. In 1997, she earned her Doctor of Dental Surgery degree, and graduated with honors from The University of Texas Dental Branch in Houston. Following dental school, she was selected into a General Practice Residency at Hermann Hospital in Houston, Texas. Dr. Buttross is a Fellow of both the Academy of General Dentistry and of the International Congress of Oral Implantologists. She has studied at the Misch International Implant Institute and completed the Implant Prosthetic Continuum. Additionally she pursued a comprehensive nine-course curriculum involving aesthetic, occlusion, restorative, and implant dentistry, and is a graduate of the internationally renowned Kois Center in Seattle, Washington. In 2013 she was invited and sponsored by Astratech to attend an Implant course at their headquarters in Frankfurt, Germany. She is actively involved at The Schuster Center for Professional Development in Scottsdale, Arizona, which is the preeminent business management school for dentists. The business school focuses on creating balance in the dental office and life while maintaining focus on patient’s best interest. In addition to her advanced, cosmetic and restorative skills, Dr. Buttross is also an excellent general dentist for adults and children. So, feel free to visit for dental fitness cleanings and routine care, and have peace of mind knowing that even the smallest restoration will be handled with expertise and precision. 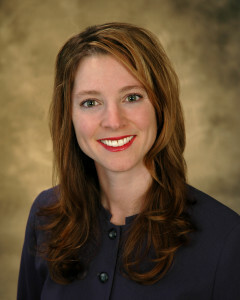 Dr. Buttross lives in The Woodlands with her husband, two children, and three dogs. She and her family enjoy a healthy lifestyle, skiing, hiking and almost anything outdoors!